Currently, we have a small group going to Big Bend. We are staying at the Far Flung Casitas in Terlingua which sits between the Big Bend National Park and the Big Bend Ranch State Park. Feel free to come join us. You are responsible for getting yourself out there and getting your own accommodations. 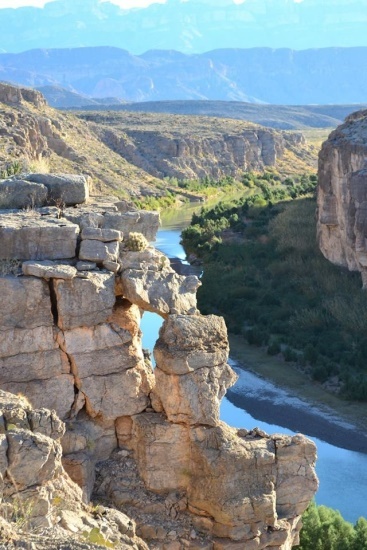 There are several options to choose from in Terlingua and all are close enough to join us in our daily excursions. I can recommend some places if you are having trouble with where to begin. There may be a Far Flung Casita available but regardless of where you stay, you should secure a reservation soon. 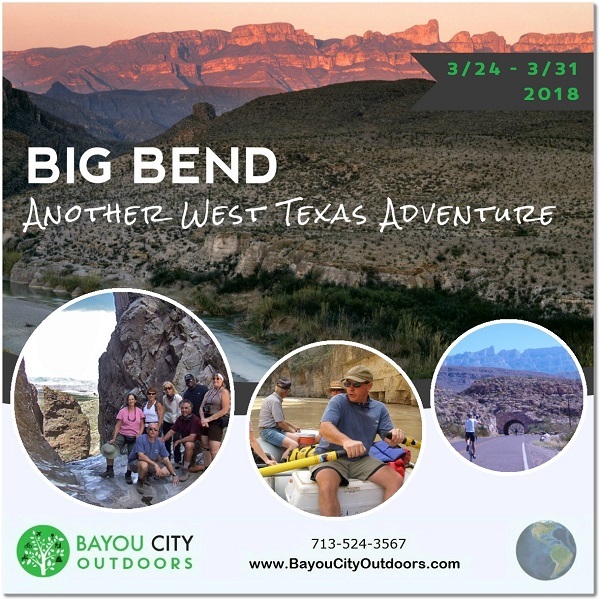 As this is a popular time of year to visit Big Bend due to cooler temps. There will be a pre-trip meeting. I will be putting an agenda together with lots of options. We will have early morning start times to beat the heat and cover as much territory as we can. Hiking is a given. There will be daily options. We will touch both parks. And if there is enough interest.....cycling.....road bike and mountain biking. We are 5 minutes away from the outfitters in case you have the urge to do a river trip or a jeep tour. We will definitely do a day trip on the river if the conditions are right. For those that want to be pampered....there is a day spa 7 miles down the road in Lajitas. This is an amazing place with interesting geology, endless photo opts.........and the river guides will tell you that you will see a shooting star every night! See calendar event for more details.